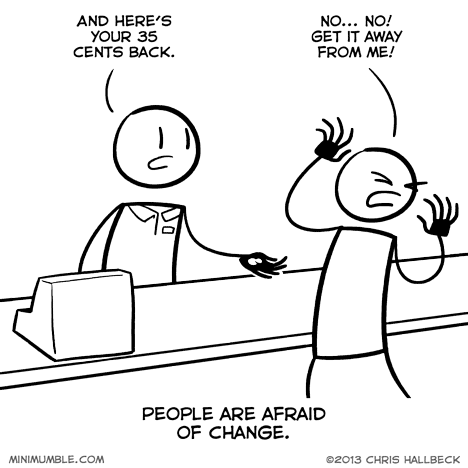 Sometimes it’s really hard to be a cashier. Nickels. Nickels are the devil. I recently cashed in a small jar of change. Netted myself $80! One day I had to buy a thing, and I got 92 cents back. Then I had to buy another thing, and it turned out to cost exactly 1.92. I was so happy to be rid of all those coins.